I entered 3 koi into my koi club's annual garden show. 2 kohaku's and 1 tancho. The format of our club's Garden Show, is that the judge and a " benching team", travel to each member's pond who enter the show. The judge helps the pond owner decide which fish to enter, and then each one is measured and photographed in turn - under the watchful gaze of the judge who takes notes on each fish that he uses with the photo and measurement to do the judging a few weeks later. The benching team had a good run through the other ponds during the day and I got a call that they were on route to my place giving me 30 mins notice of their arrival. This was over an hour earlier that expected, and I've been so busy with work - that I'd only just downed tools and at that point - Amanda and I had just started seine netting the keepers tank! We raced through it, and put all the keepers into a single cage net. then I had literally 5 mins before the team arrived to pick out the best ones - and I found around 10 or so that took my eye. They went into a different cage net, ready for the judge to peruse. Our judge this year is Gary Pritchard. 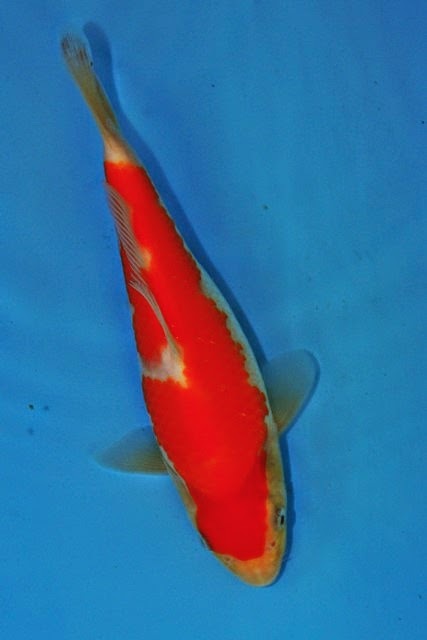 Chair of the JSC (Judging Standards Committee), and world renowned koi judge. One of the main benefits of this format of show for the members, is to have an experienced koi judge at your pond and to hear their feedback. Gary is known at the club for telling it as it is. For example - in the first Garden Show we ran at Kangei. 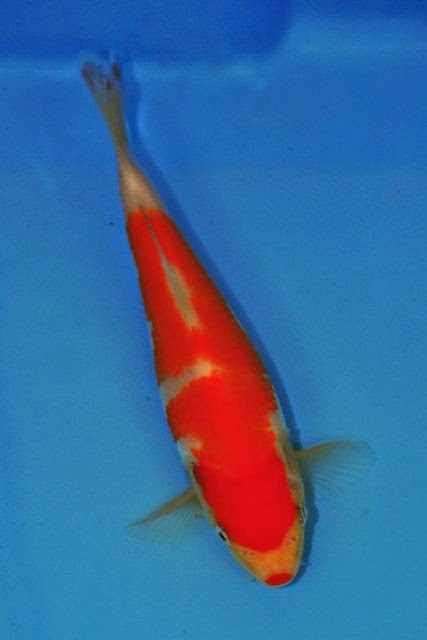 I had a kohaku that came reserve Grand Champion. 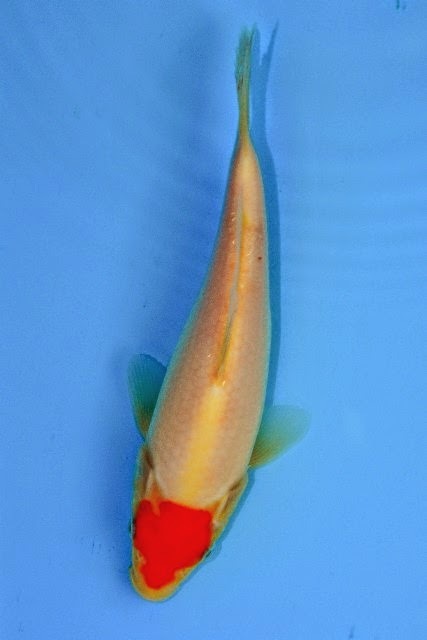 Gary judged that year too, and I remember his feedback to me on that koi - he said it looks like a showa with no black, and probably came from a showa spawning. And the thing is - while these points are difficult to take at the time; the information is like gold dust. Gary's straight feedback has become a bit of a fun aspect of the show, as each of us compare truths learned that we wish we'd known before spending our hard earned cash on those fish! As a hobbyist, it's very difficult to get that kind of independent feedback and honest appraisal. And that's one of the reasons we run the show. So, I was a little nervous putting my kohaku babies in front of him. I asked him to suggest which ones out of the 10 or so, I should enter. And he helped me select these three, in this order. They're 17cm, 16cm and 16cm long respectively. the photo's come out a little reddish - it's much whiter in reality. The fish werent quite as large as I hoped, but thankfully large enough to enter into the show. The other thing to note is that in preparing the pictures for the blog - cropping, and making the file size smaller - the pictures make the red look a little better than it actually is. But, overall - I'm not too unhappy with them at this stage. The "question mark" kohaku is coming along nicely - and that was in the group of 10 but Gary didnt suggest entering it. I asked why, and he noted that the pattern didnt take your eye from the front of the fish to the back of the fish as well as the two kohaku's I entered. It's one to keep an eye on, and I think it has a chance of it making a mark in the future - but only time will tell. For the results, we'll have to wait until December. Agonising. It's a long wait because we run a judge it for yourself quiz for the members and we delay the show results until after everyone's had a chance to enter the quiz. For the time being - I need to get these fish back on the food, and start preparing them in a few weeks for the "All England" show run by the South East koi club. And that's an "open show" - where you take your koi to the show ground, and the competition will be immense.